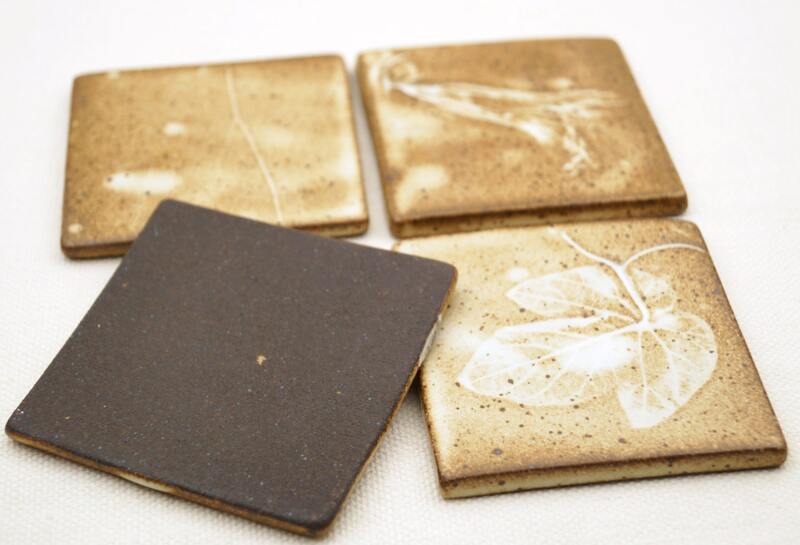 Crafted in loving detail, this ceramic rustic glazed tile set makes a perfect center piece for your home. 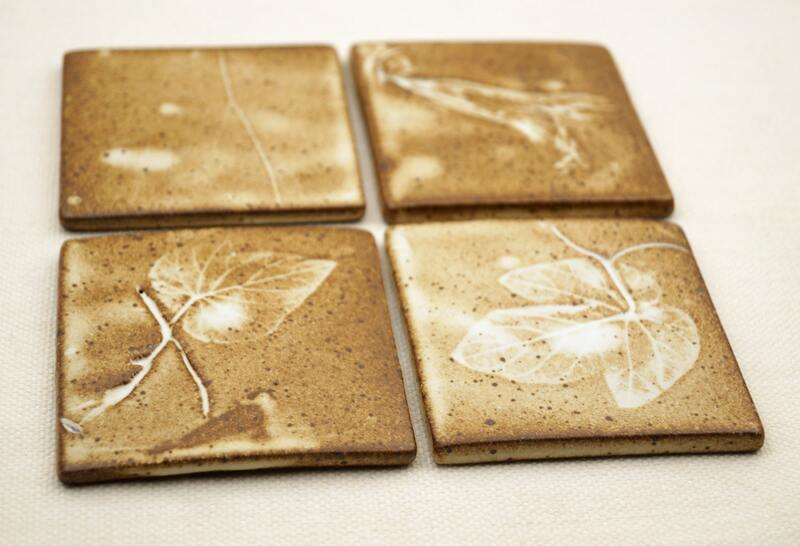 It can be used as coasters or accent tiles in your bathroom or kitchen. 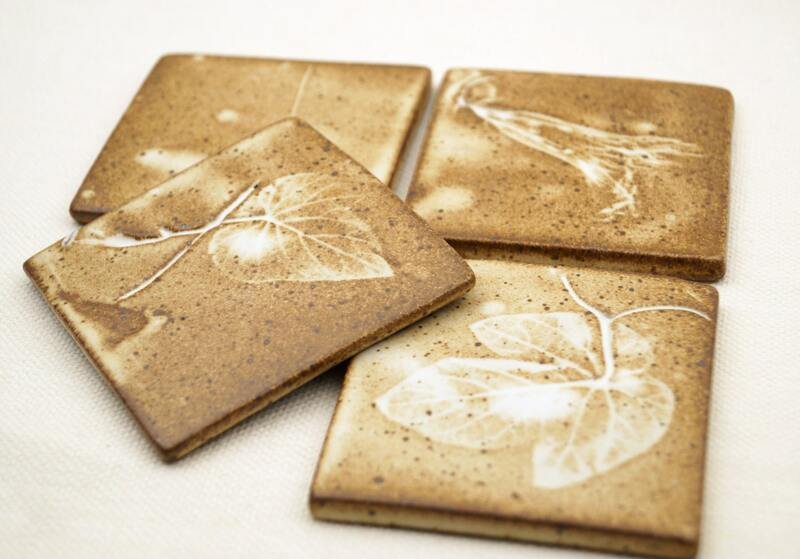 This one of a kind tile set is hand built and every piece is its own shaped. Using an ancient "slab" method. I rolled a ball of black clay to a certain thickness, cutting out pieces according to selected patterns. 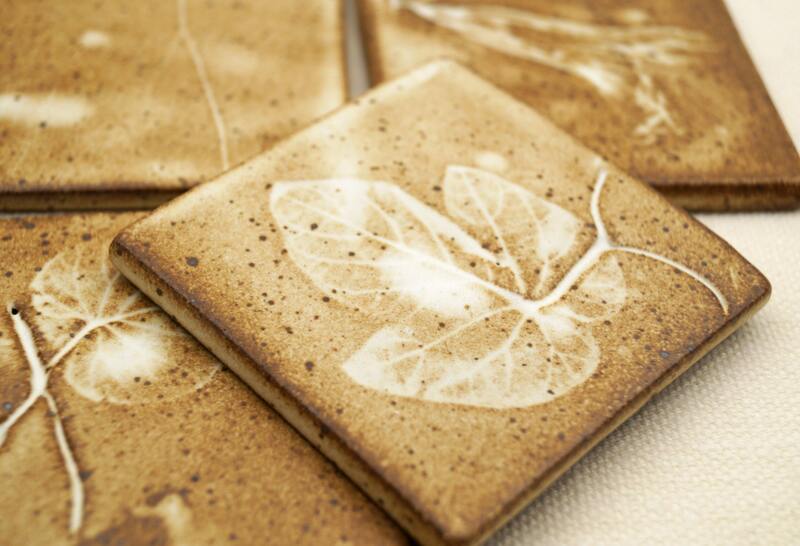 By pressing real leave and vine of grape into the clay, what is revealed is a delicate but beautifully clear design. 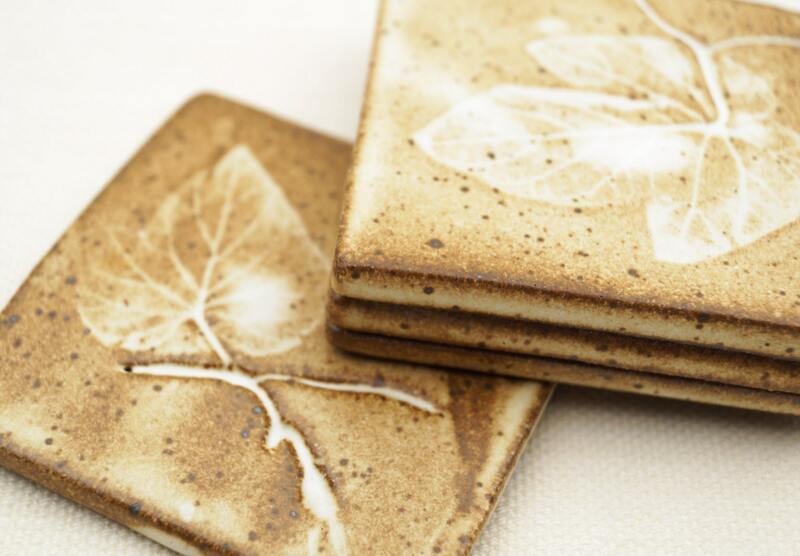 Tiles were glazed with a matte white glaze that allows dark clay to show through. It fired to cone 10 (2350 F/1330 C) in a gas kiln. This temperature is at the top of the firing range for ceramics and makes the clay very strong and vitreous. Measuring 3 1/8" x 3 1/8"